Goa the Party Capital is a very popular place known for its beaches. There are around 55 beaches in Goa and it is the smallest state in terms of area. Such a commendable thing The wonderful place is surrounded by the wonderful beaches all over the place. Specially there are some beaches which people should visit in the summers. Baga Beach– Its tops the chart its one of the most popular beaches in Goa. Baga beach is a small beach and quite beach people who want to visit some quality time can surely visit this beach. Baga beach is situated in the North Goa mainly all the popular beaches are situated in North Goa only. Baga Beach is also famous for parasailing, water sports (banana ride) and dolphin cruises. There are wonderful night parties which take place near Baga Beach some of the very popular clubs are even found near the famous beach. Tito’s Night club, Club Cubana these are some of the very popular and exclusive clubs in Goa which will offer you wonderful party, wonderful food and a many varieties of drinks and in summers the best part is you get everything at a very cheaper rate. The prices of the drinks, food, and the entries drop down a lot so people can easily take advantage and visit these place in summers. Calangute Beach– It’s the largest beach in Goa and is visited by thousands of people be it international or domestic tourists. 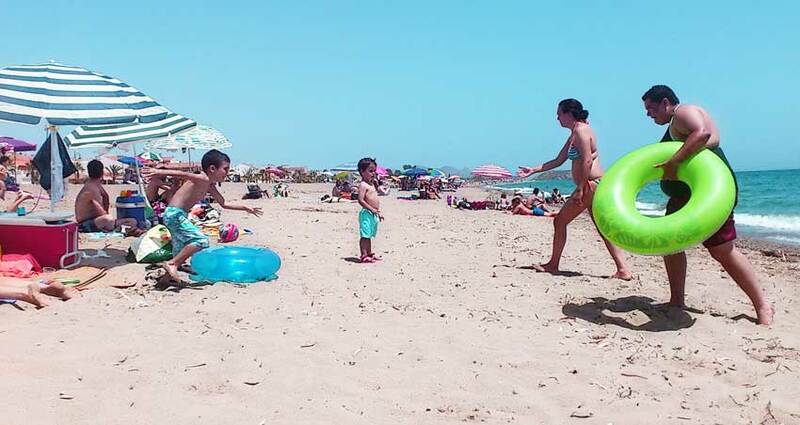 The best season of this beach is during Christmas and New Year, and during the summer in May, there are lot of people found at this period of time. During the monsoon season, from June through September the sea is quite rough and swimming is not allowed. There are many water activities on this beach like parasailing and water skiing and many more. This beach is popularly known as ‘Queen of Beaches’. Dona Paula Beach– This beach is located just about 7 kilometers from Panaji. 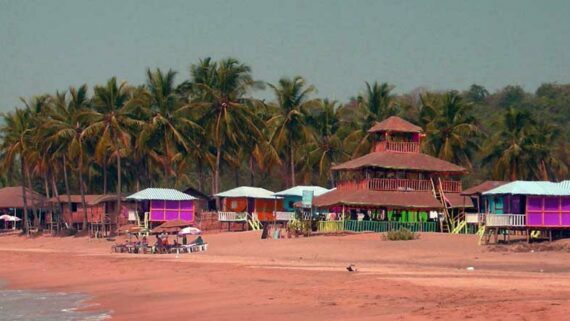 This beach is popularly known as This place is called the Lovers Paradise in Goa, named after Dona Paula de Menezes. The water is quite clean of this beach people come here to enjoy the sun and the sea there is a wonderful view of the sunset and sunrise form this beach. Its one of the most hottest tourist spot in Goa. People come here to enjoy sun bath and there are many cheap goods available nearby the markets so people buy a lot of cheap goods from the market. This beach has gained a lot of popularity over the years. Many tourists visit this beach. Vagator Beach– This beach is mainly for the mid-night parties. This beautiful beach is located about 22 Kms from Panaji and is situated in Bardez taluka. This is one of the beautiful beaches in Goa. There are two beaches in Vagator Big Vagator and Small Vagator. This is the main beach and it is very beautiful it is a main bus stop for the tourists and then comes the small vagator as the name suggests it’s the small beach and its little quite and secluded one when compared to the big Vagator. Anjuna Beach-It is located about 18kms from Panaji and is situated in Bardez taluka. This beach is known for its natural beauty. This beach has a unusual rocky formation. This beach is also known for its night parties. These are those parties which attract a lot of tourists and mainly teenagers party hard in Anjuna Beach. Lot of trance music is played on these beaches. Its just the best party beach people who come to Goa for only party purpose this beach is the best for those people. Candolim Beach– This beach is one of the most popular beaches in Goa located in North Goa. This beach is a quite beach located near Aguada beach. This a wonderful beach which most of the people like to visit if they come to Goa. This beach is very popular for its sea food. There are many shacks on the beaches and you will find many restaurants even they serve wonderful food and drinks specially sea food people who love sea food going to this beach is a must. Candolim beach is located at about 14 kms from Panjim, the capital of Goa. People who want to spend quality time in Goa want to just chit chat all the day for them going to this beach is a good idea as this a very quiet beach. Benaulim Beach-This is a very quiet beach. Rather being a very popular beach for fishing it is still undiscovered by many of the people even the localites. People who want just relax their holidays and wants to spend time on the beaches spending a lot of time on this beach and relaxing is very good option for those people. Colva Beach-This beach is located in the Southern End of Goa. It is located just 6 km away from the city of Margao. This beach is broad and beautiful. Many people visit this beach just to have a change from the crowded Anjuna beach or the Calangute beach. This beach is less crowded when compared to the other beaches. Palolem Beach– This beach is popularly known as “Paradise Beach” located in South Goa. This is not a very popular beach when it is a quiet beach you will get some restaurant near by this beach. Very few people are seen on this beach and the adventure sports rates are very low when compared to the rates of other beaches so you can enjoy some adventure sports at a very reasonable rate. Patnem Beach– This beach is situated in the Southern Part of Goa. This beach is suitable for swimming even. This is also a quiet beach but you get wonderful food and drinks on this beach there are number of shacks and restaurants found here and one of the best restaurant of Patnem is also found here. 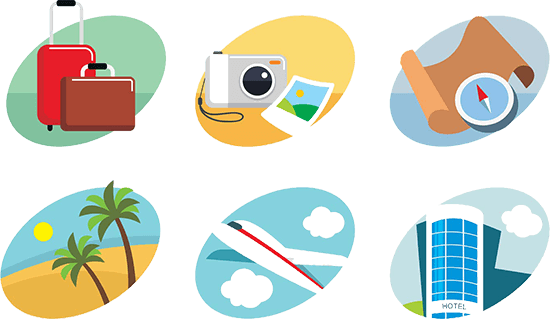 There are some good hotels and guest houses even available in nearby places. So overall these are some of the beaches which people should visit during summers so that they can see the better part of Goa.